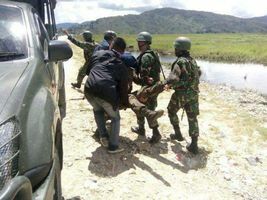 Local human rights defenders have reported a further police shooting in Manokwari, Papua Barat Province, near the Wosi Market. On 26 August 2018 at 10.00 am, police officers from the Manokwari sub-district municipality police (Polsek Manokwari Kota) shot down Fery Korwa (20 years old) in front of Fajar Roon Hotel in Trikora Wosi Street. Ferry Korwa sustained a bullet injury on the right side of the upper back and had to be treated at the local Navy Hospital. The bullet pierced his torso from back to front as he was running away from police officers. According to the local police, Ferry Korwa had allegedly stolen a mobile phone from a junior high school student and tried to avoid arrest. Immigration officers have prevented Belinda Lopez, a PhD candidate for Indonesian studies at Macquarie University, from entering Indonesia shortly after landing at the International Ngurah Rai Airport in Bali on 3 August 2018. 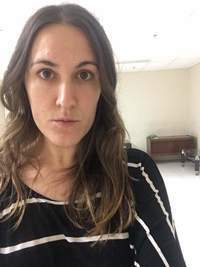 She was detained for 17 hours at a room inside the airport (see intro image) and forced to board an airplane to Australia on the following day, leaving around 10.00 pm. According to Facebook and Twitterposts, the authorities repeatedly asked Belinda Lopez whether she was a journalist and had "done something bad to Indonesia". The incident appears to be closely related to her former work as editor for the Indonesian newspapers The Jakarta Post and The Jakarta Globe. Belinda said that Indonesian Immigration authorities had denied the prolongation of her visa in 2016 after being suspected of working as a reporter in West Papua. International Coalition for Papua has received credible information in relation to the alleged torture and ill-treatment of two Papuan students on 27 August 2018 in the residential area of Perumnas 3 Waena, Jayapura. 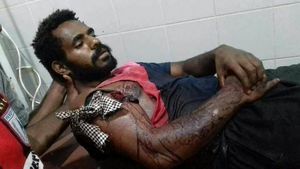 Yetron Kogoya sustained a bullet wound on the right shoulder as police officers opened fire at a group of Papuan students. He was brought to the Bhayangkara police hospital for medical treatment. Asmel Yigibalom was tortured by police officers during detention at the Perumnas 3 Police post, resulting in a bleeding head injury which needed to be stitched at the Abepura General Hospital. According to the information received, police officers arrested at least 14 students from Lanny Jaya regency. Human rights defenders in the Jayawijaya Regency have reported a series of arrests between 25 and 26 August 2018. According to the received information, members of the Jayawijaya District Police arrested eight people, one of them a Polish citizen named Jakub Fabian Skrzypski (39 years old). 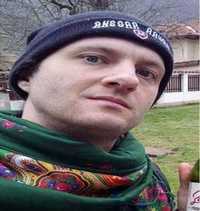 On 27 August at 10.00 am, police officers transferred Jakub Fabian Skrzypski to Jayapura, where he is being held in an inadequately ventilated cell, given poor food and hasn’t been able to contact family or change his clothes. The police suspects that Mr. Skrzypski is a journalist who had established contact with members of the armed resistance in Wamena. 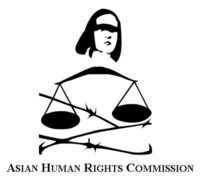 Indonesian authorities stated that he may be charged for the violation of immigration law. Lawyer Gustaf Kawer, who visited Jakub Skrzypski in his detention cell in Jayapura - stated that Mr Skrzypski was visiting Papua as a tourist. On 23 August 2018, the ‘Civil Society Coalition for Justice, Human Rights and the Environment in the Land of Papua’ published a press release, criticizing the approval of concessions in the Provinces Papua and Papua Barat under the Jokowi Government. According to the coalition, government agencies have approved concessions for eleven palm oil companies with a total area of 237.752 hectares of forest between 2015 and 2018. Some of the companies are allegedly involved in environmental crimes with the participation of police and military members. 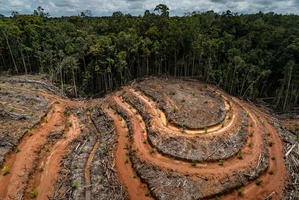 The coalition claims that the expansion of palm oil plantations in West Papua will push deforestation and increase the number of land conflicts between investors and the indigenous land owners. Student activists have reported that Police officers arrested the chairman of the Cenderawasih University Executive Student Body (BEM UNCEN), Ferry Kombo. The arrest took place on 16 August 2018 at 04.00 pm in front of Dian Harapan hospital in Waena, Jayapura. 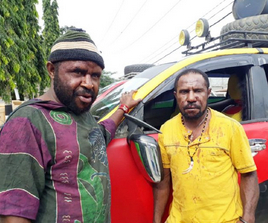 Ferry Kombo was taken into custody at the Jayapura district police station and released on the following day. On 28 August 2018, the police arrested further student representatives at the University for Management, Informatics and Communication Technology(STIKOM) in Jayapura. The arrests were conducted in relation to orientation activities for first semester students, where students were asked to wear bracelets and net bags showing the Morning Star flag, commonly used by the Papuan independence movement. Law enforcement institutions in West Papua continue to strictly limit the freedom of opinion in Indonesia’s easternmost provinces, in an attempt to counteract aspirations for political independence. 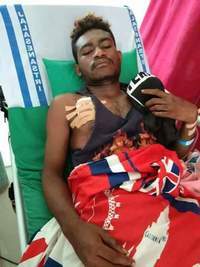 The independent news outlet ‘Suara Papua’ published an article according to which members of the Merauke District Police arbitrarily arrested 14 activists of the Papuan student movement GemapaR (Gerakan Mahasiswa Pemuda dan Rakyat) in the early morning hours of 9 August 2018 in the city of Merauke. 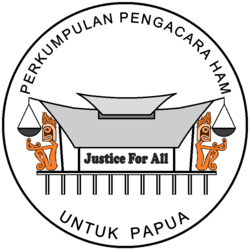 Two days earlier, on 7 August 2018, two members of the West Papua National Committee (KNPB) were sentenced to 1 year and five months imprisonment.The Association of Human Rights Lawyers for Papua ‘PAHAM Papua’ considers the trial as an example of the ongoing injustice and discrimination against pro-independence activists in West Papua. 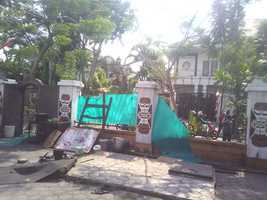 The Papuan Student Alliance AMP has reported a further attack on the Papuan student dormitory in Surabaya, East Java Province. On 15 August 2018 at 11.30 am, a group consisting of approximately 30 members from multiple nationalist mass organisations (ORMAS) came to the Papuan student dormitory in Tampaksari District of Surabaya. The ORMAS supporters attacked the Papuan students, throwing stones and glas bolltels at them, while damaging parts of the dormitory fence. 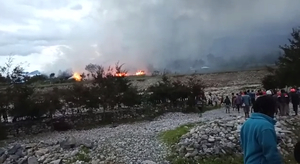 At 7.00 pm, dozens of police officers began to secure the area around the Papuan student dormitory. At 9.00 pm, more than twenty police officers entered the dormitory without showing a warrant. The officers wanted to arrest the suspect of an alleged knife attack. When, they were not able to find the suspect, the officers arbitrarily arrested all 49 dormitory residents. 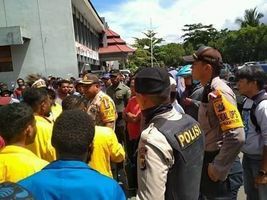 Three members of the Jayapura District police have beaten up Raimond Penggu (33) and Viki Yikwanak (33) in Sentani near the old market, known as the ‘Pasar Lama’. On 30 July 2018 in the early morning hours, Raimond Penggu and Viki Yikwanak had driven to ‘Pasar Lama’ to meet some of their friends and eat together at a nearby restaurant. On the way back to the car, three police officers approached Raimond and Viki and began to punch and beat them with their rifle butts. According to the online media outlet ‘Suara Papua’, the police members had allegedly suspected the two drivers as the perpetrators in a theft case. 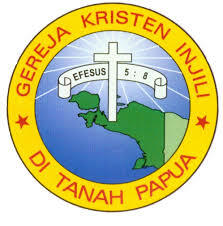 About the ICP Human Rights and Peace for Papua is an international coalition of faith-based and civil society organisations (the Coalition) addressing the serious human rights condition in West Papua and supporting a peaceful solution to the conflict there. West Papua (Papua) refers to the western half of the New Guinea island in the Pacific and comprises the eastern most provinces of Indonesia. Indigenous Papuans are suffering from a long and ongoing history of human rights violations and security forces subject them to violence including killings, torture and arbitrary arrests. Impunity prevails. A lack of adequate access to health care and education as well as demographical and economical marginalisation and discrimination mark the living condition for Papuans. A heavy presence of Indonesian security forces, lack of access for international observers such as journalists, corruption and transmigration from other parts of Indonesia aggravate the situation. Political prisoners and the persecution of political activists shows the extent of repression with which freedom of expression and indigenous peoples’ rights are being violated. Papua’s wealth in natural resources attracts businesses and security forces resulting in exploitation through mining, logging, harmful agricultural projects, and environmental degradation. This dynamic challenges traditional indigenous culture while Papuans demand their right to self-determination.